Amanda & Dan planned their wedding with us from clear across the country. Both begin from the area originally, Amanda & Dan Alt planned their wedding with us from Arizona, with the help of their local families and friends. 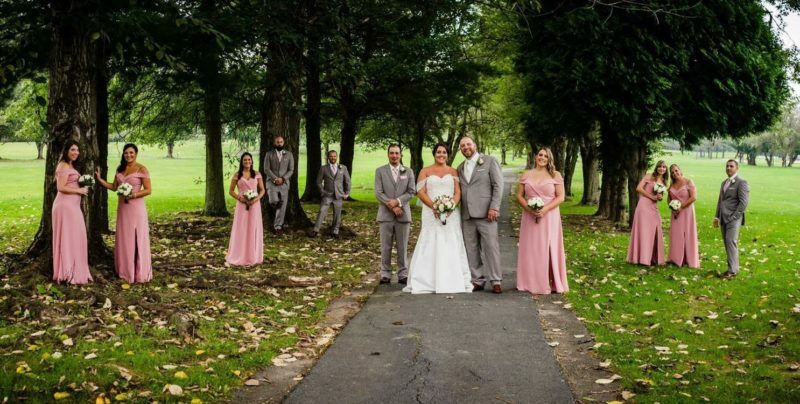 They had a sunny October 5th wedding and utilized all of our onsite locations including our ceremony site, outdoor cocktail patio and Bliss Ballroom. Dan & Amanda even had their dogs as their ring bearers, the woman who introduced them officiate and honored their home state with a Philadelphia Eagles color scheme. Congratulations to the Alt’s! We hope to see you in PA and at Edgewood again soon! Nicole & Joe had a fairytale wedding day in August in Disney World and brought the party back with them for an October 12th “I Do Barbeque”. Sticking with the Disney theme, Nicole incorporated Disney movie quotes into her table numbers, and showcased a slideshow of pictures from their August wedding day to family and friends who could not attend. The bride and groom had two signature drinks “The Dole Whip” and the “Ohana Colada” fashioned off of Disney favorites. Nicole and Joe had a vision to do a relaxed reception with barbeque style food, good conversation and dancing and we made that vision come to life for them. Thank you again Nicole & Joe for choosing Edgewood to host your I do barbeque! Michelle & Johnny planned their wedding day with us for over a year and a half and planned all the way from Philadelphia! Being an avid Halloween fan, Michelle made sure to incorporate the holiday into their wedding day by providing candy and spooky bowls along with pumpkins and gourds for décor. With a rainy week leading up to their October 13th wedding day, the Grauman;s decided to pull their ceremony inside and get married on the dancefloor, and it turned out as beautiful as ever! Johnny surprised Michelle with “dancing on the clouds” during their first dance as husband and wife and we loved Michelle’s handmade centerpieces and table accent pieces. Thank you to the Grauman’s for being so wonderful to work with and congratulations again! Maria & Ron planned their wedding with us in just 9 months after being at Edgewood for a work holiday party in December 2017. 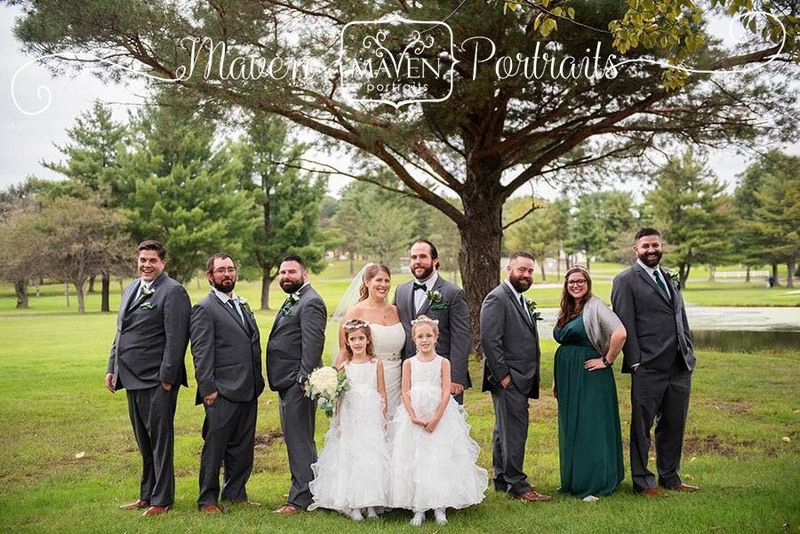 This fun-loving couple had a beautiful October 19th wedding and also utilized all of the onsite spaces Edgewood has to offer. 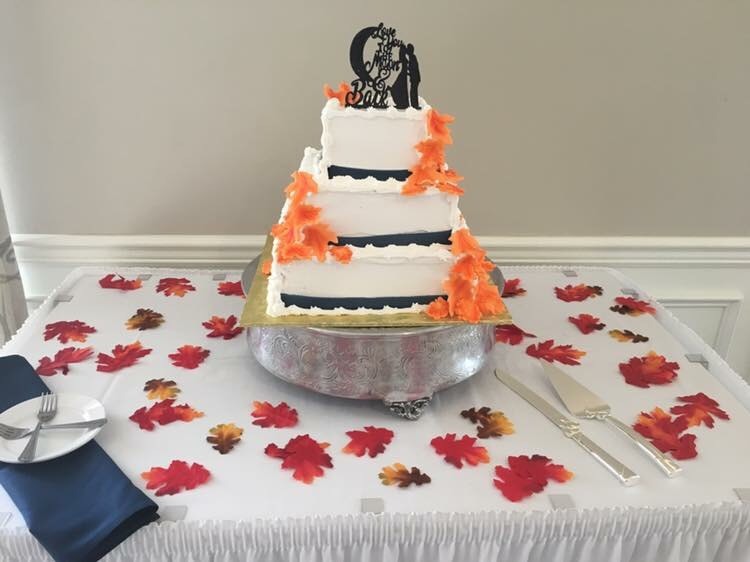 Maria and Ron pulled in the fall theme to their wedding with pumpkins and mums, mini S’mores favors and a beautiful three tiered cake done by our very own pastry chef. 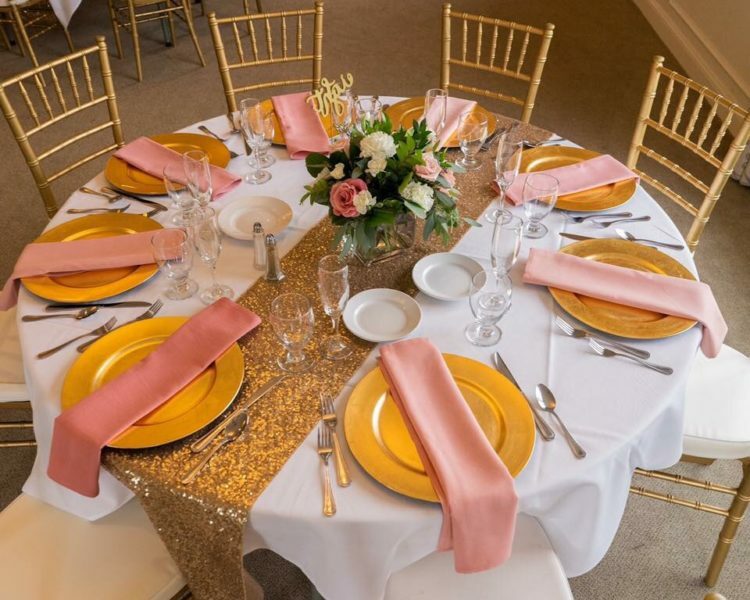 Everyone had a wonderful time celebrating the bride and groom and enjoyed a delicious combo dinner of chicken francaise and beef medallions and danced the night away. Thank you Maria & Ron and we will see you again soon!